We give maximum importance to the quality of the products that we offer and thus conduct diverse quality tests. By keeping records of the leading market demands, we have developed a secure payment procedure that offers a plenty of options for making transactions. 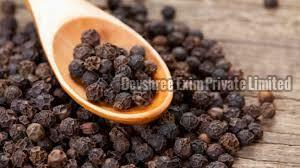 Our Black Pepper Seeds are a rich source of nutrients like Vitamin B6, Magnesium, Vitamin C, Fiber, etc.